The bernette London 5’s handwheel for manual operation of the needle up/down postion and manual fabric feed is recessed so that it’s flush with the surface of the housing – easy to operate, but never in the way. Because the handwheel is mounted flush with the housing, the bernette London 5’s attractive design is preserved, and the handwheel is protected from damage. 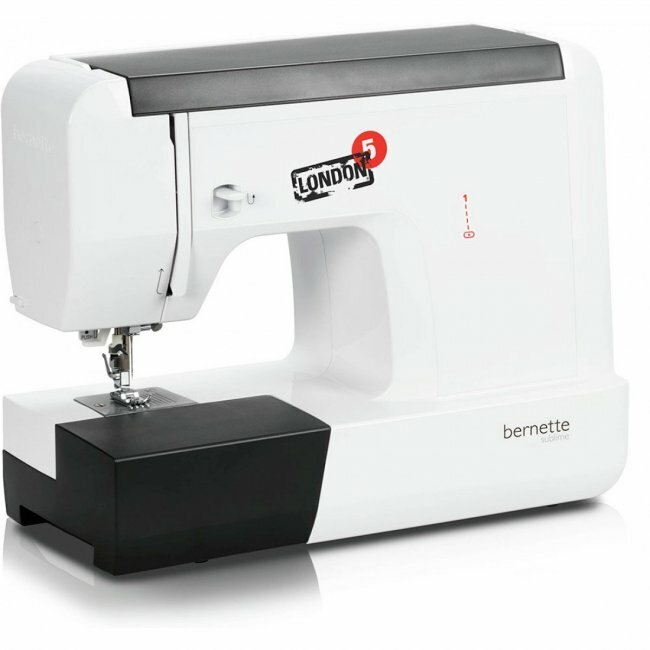 This detail is also an advantage when putting the bernette London 5 away after sewing, since it means the machine can be stored in a space-saving manner – a small but very handy difference!